Following several teases, Square Enix and developer Dontnod Entertainment have finally fully unveiled Life is Strange 2. The new episodic series will focus new characters Sean and Daniel Diaz, and send players on a perilous cross-country road trip. Check out the debut trailer for Life is Strange 2, below. Life on the road is tough and dangerous. The brothers will face all manner of challenges as they bravely undertake a journey that will test the bonds of brotherhood. Playing as Sean, you will need to make the kind of tough choices you can expect from a Life is Strange game, and you will need to live with the consequences of your actions. The game will this time focus on brotherhood alongside the need to guide and educate your younger brother whilst simultaneously coming of age yourself. It looks like Life is Strange 2 won’t shy away from hot-button issues – the game’s trailer and description hint police violence and immigration may be touched on in some way. Of course, the game will also deal with more universal subjects like growing up and brotherhood. Dontnod are promising Life is Strange 2 will also include a new power (the original game allowed you to manipulate time) and a variety of other fresh features, but haven’t revealed what exactly they are. We likely learn more soon, as additional Life is Strange 2 footage will be released sometime this week. If you’d like to get a jumpstart on Life is Strange 2, you can download The Awesome Adventures of Captain Spirit, which is essentially a free preview/demo. You can check out Wccftech’s review of Captain Spirit, right here. 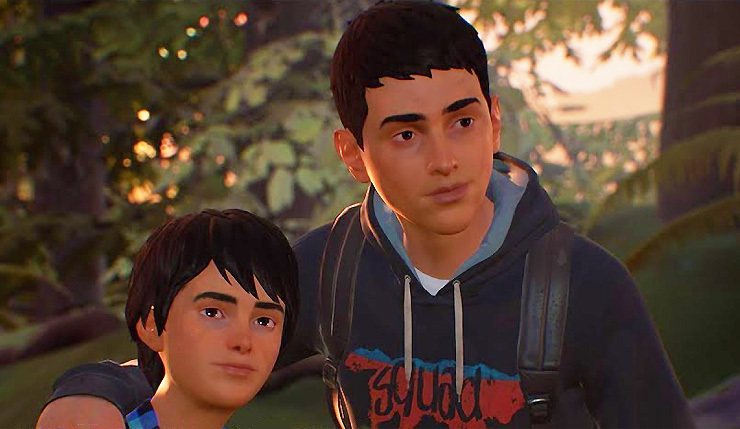 The first episode of Life is Strange 2 arrives on September 27.